My training program for this fasting month will resume as usual. Will need to alter the timing a bit that will be all. Other than that, I need to put on weight. Family and friends have been complaining, but I don’t know..! I HAVE NOT updated my PD Triathlon race report, and another 2 sprint duathlon races. Podium finish for all 3 series in MUDS,(MALAKOFF Uni Duathlon Series) and recipient for the Powerbar Top University Duathlete. This is the last year I’ll be taking part in the uni category. First time was in 2008. Yesterday a Berita Harian reporter covering the MUDS event called to ask me how I feel. And I asked back, ‘Feel about what?’. He replied, ‘Feel on winning the overall series and the award’. I said,’ ‘This is my 3rd year taking part in MUDS, and I’ve taken part in all 3 series for each year’s event, and have been taking the podium every time I race.’ I told him it does not show that I am any greater than the other competitors. 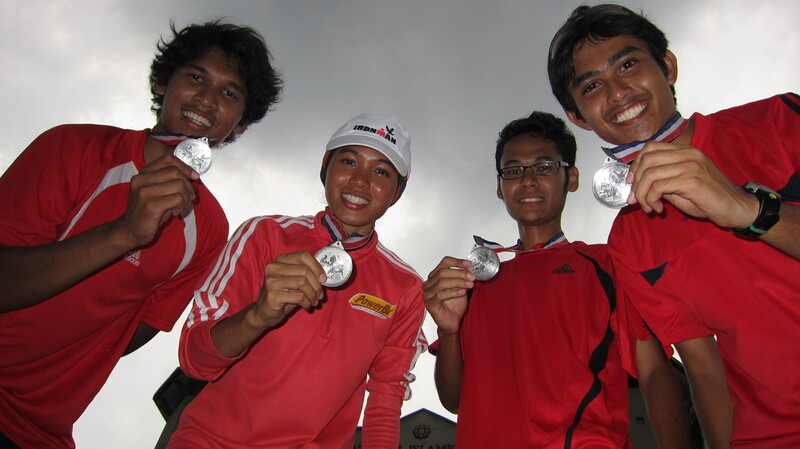 It just goes to show that this sports (duathlon) is relatively new to the higher institutions in Malaysia, and more can be done to encourage students to take up this sports. In the Women Uni category especially, there aren’t many participants and the role of promoting and encouraging should not be rested only on the students’ shoulders, but also taken up seriously by the universities’ sports center department. I also highlighted to the reporter how the UTM students travelled from Johor all on their own expenses WHILE representing the university. Ong Wei Xiang, an uprising multisport athlete who also have been regular in the MUDS scene told me a couple of weeks ago, he spends at least RM100 per trip to KL every time he races. Going back to the reporter’s question, I told him I didn’t expect to win as I am more than happy to have strong competitors in the category and for them to take the podium and overall title, and of course let other people to have their podium moment. In short, the win came in as a surprise and it was indeed a sweet ending for this year’s series bearing the fact it’ll be the last time I’ll receive the award. I actually have been handling a multisports team called IIU X Team the past 2 years. Through it I try to give back, by encouraging the juniors to take up sports as a lifestyle. To the last MUDS saw 39 of us taking part. 🙂 And 1relay team actually made it to the top 3 placing for Men Uni Relay. What I realize is that victory is not always everything, but when it does come, it is always sweet and memorable. The team also landed IIUM as the top 3 Uni in this year’s MUDS Series after UPNM and UTM. post race talk with the team. would love to see the number grow year after year. i'll still contribute even i am no more in the uni ! with more adik-adik from UPNM 🙂 UPNM is the only university in Malaysia (which I know of) who has a functional and active triathlon/multisports club. They played host for MUDS twice already, and are certainly the best of examples for other higher institutions to follow with a growing number of them completing extreme races like Ironman Langkawi. UPNM, here is for you. Congratulations and keep up all the good stuff you guys have been doing and have achieved. p.s. 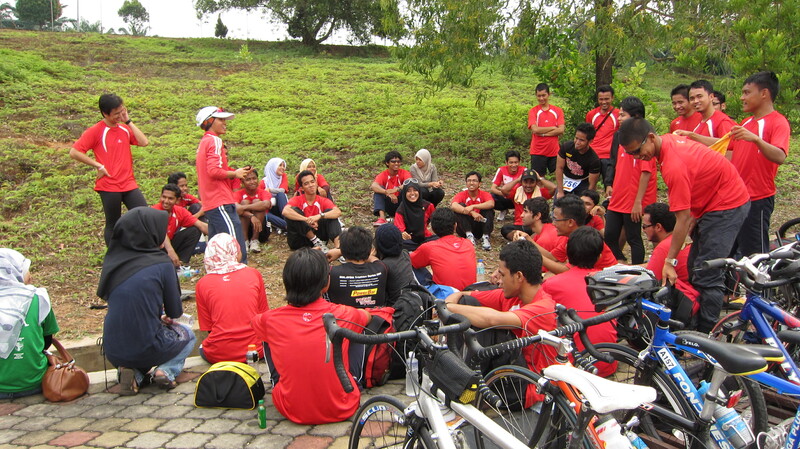 it was an honour to present at the the Powerbar Duathlon Clinic at Dewan Pendekar, UPNM ! *more update and pics from MUDS Series 2 (UM), and Series 3 (UPM) in my post AFTER PD report ! Many things have been going on the past 2 weeks i tak sempat update anything on my blog. yeah..after this will be busy writing an official report for the recent MUDS for the uni sports centre, and hopefully an appreciation iftar+dinner for all IIU X Team members somewhere this month. Ramadhan Kareem + Selamat Berpuasa to all my Muslim friends, fellow bloggers and readers ! May Allah Bless You. 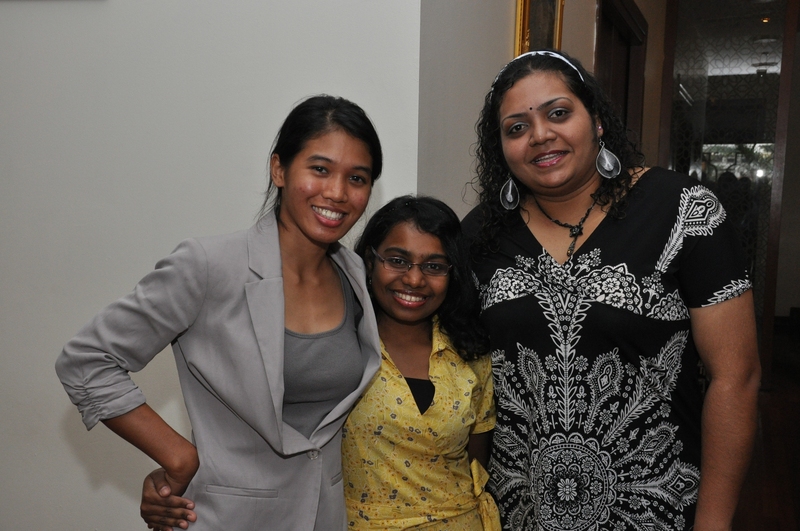 Suzanna De Cruz (in yellow), Geetha and myself ; primary school mates back in 1989 ! A small get together at birthday lunch. Pix courtesy of Mr Chan Wing Kai. oppss..i forgot u x puasa..! hihi..get well soon dear..i heard about ur accident from Chin. mmuah ! salam. thanks fong.doing what i can. selamat berbuka puasa dear !!! selamat berpuasa julie, congratulations on your completion of MUDS. salam. nice 1 ijam. thanks. selamat berpuasa !